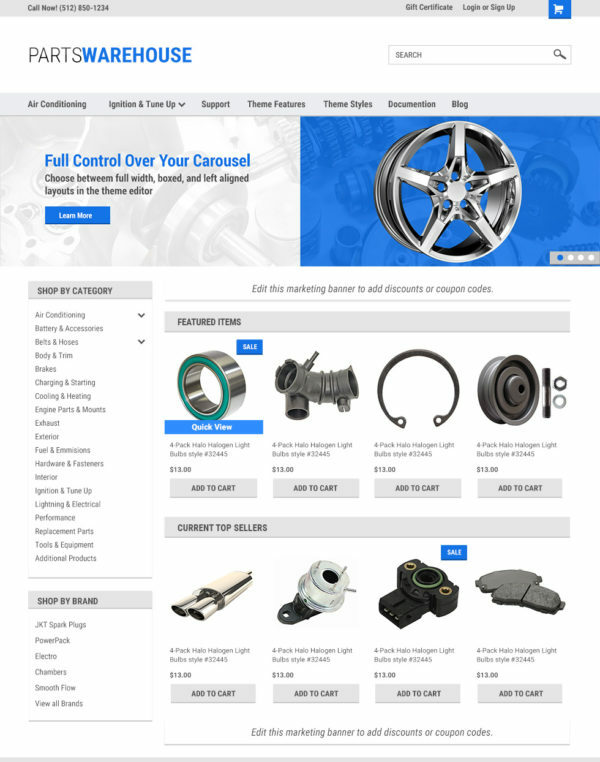 Our Parts Warehouse Champion theme provides a cost effective and effortless way of getting a new professionally designed BigCommerce theme for your online warehouse. In conclusion, Parts Warehouse is as simple and clean or as complex and colorful as you want it to be. Our theme is a great staring point for your website and is suitable for every type of store. Take your BigCommerce template to the next level with Parts Warehouse Champion.